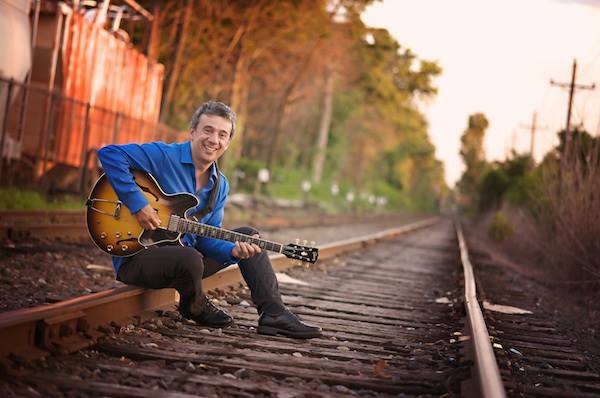 New York based guitarist Nelson Riveros recently released his debut recording titled “Camino Al Barrio” A Contemporary Latin-Jazz CD with a diverse array of rhythms and fresh improvisations. Camino al Barrio peaked at #8 on the Jazz Week World Music Chart. He was nominated among his peers as ‘Next Best Generation Artist’ and ‘Best Latin Jazz Guitar’ for the 2010 Latin Jazz Corner Best of The Year Awards. Born of Colombian parents, Nelson grew up listening to his parent’s record collection, which was a staple that instilled him with a musical appreciation at an early age. Nelson has performed and recorded with Grammy nominated pianist Hector Martignon, Grammy winning bassist John Benitez, Samuel Torres, Luis Bonilla, Jeremy Wall (Spyro Gyra), Alfredo De La Fe, Adela Dalto. Nelson Riveros Quartet at Terraza 7 on Friday September 11, 2013 at 9:30 pm. No Replies to "Nelson Riveros Quartet"